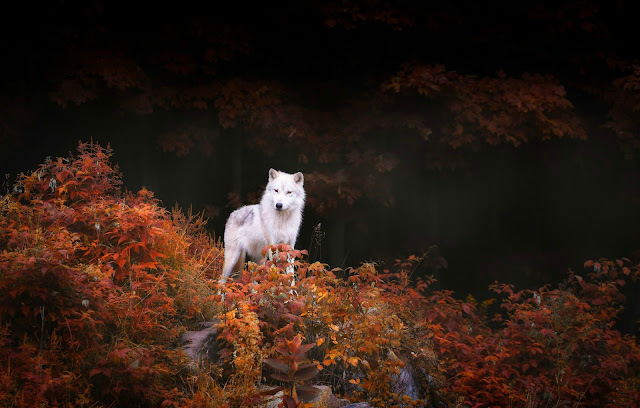 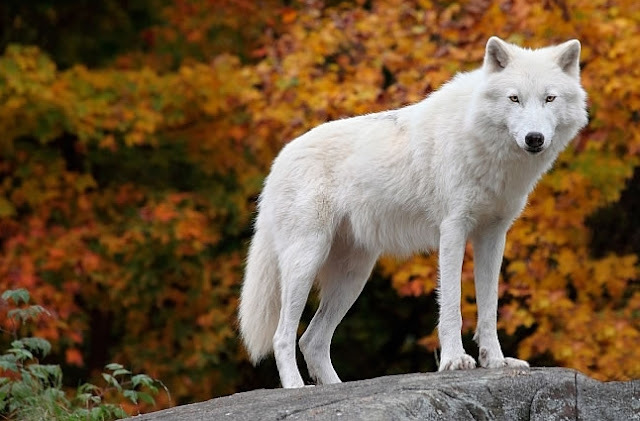 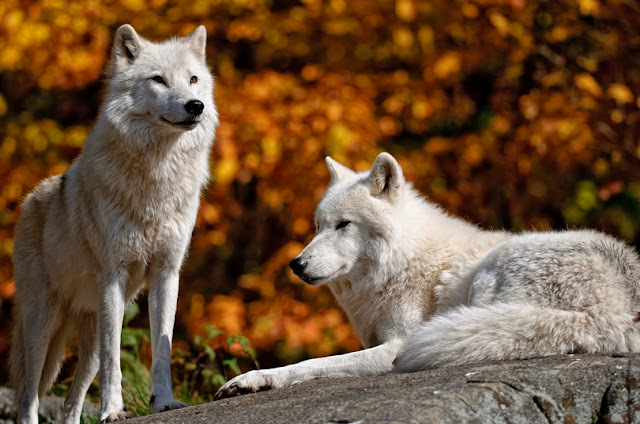 White Wolf : Breathtaking photos of wolves in the woods during the midst of Autumn. 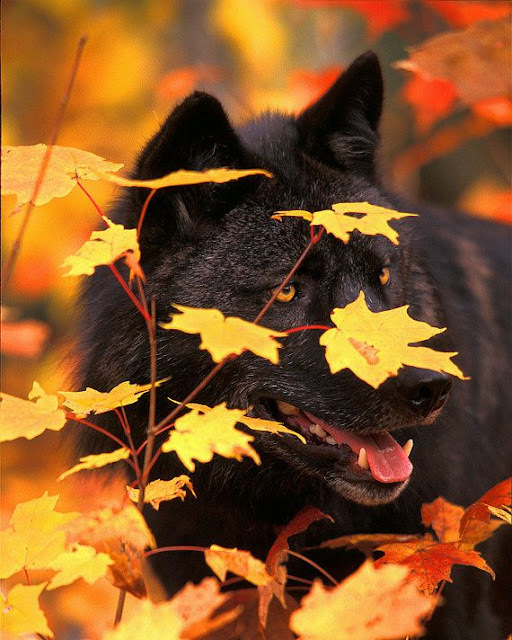 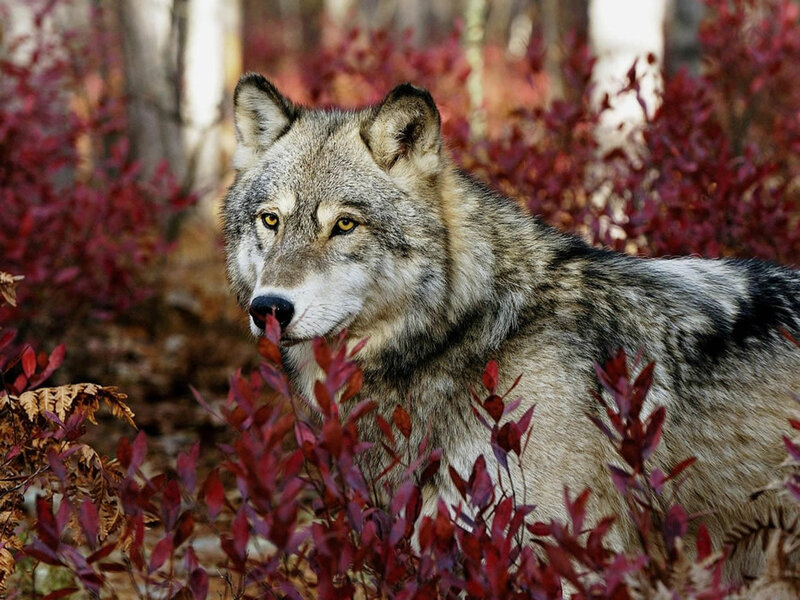 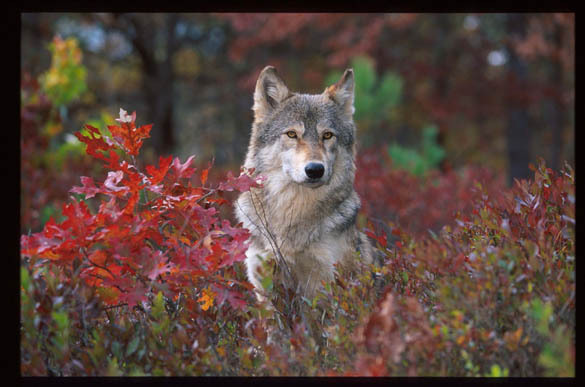 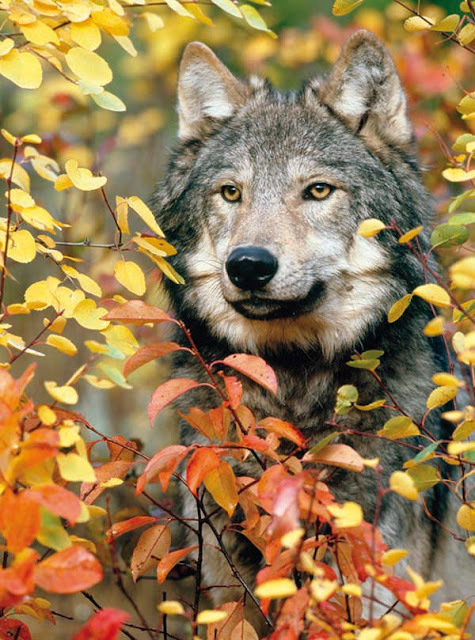 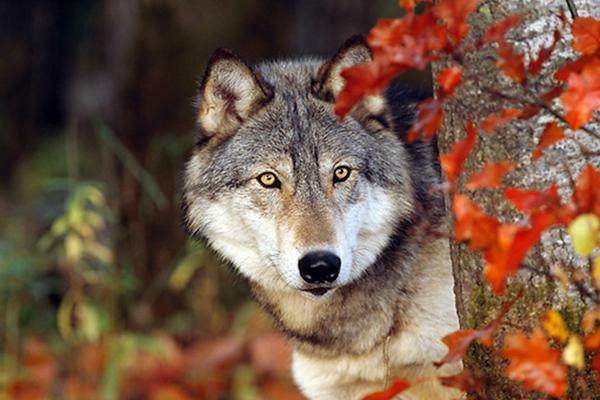 Breathtaking photos of wolves in the woods during the midst of Autumn. 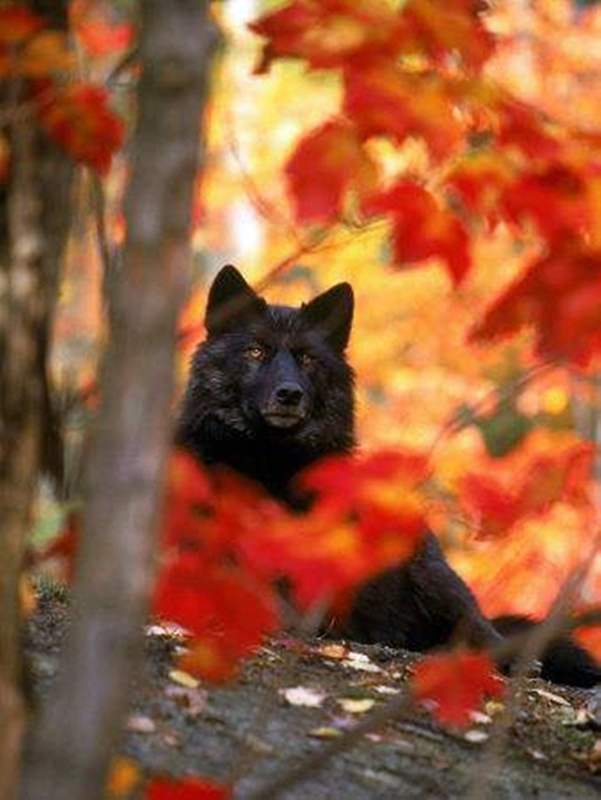 Now Autumn's fire burns slowly along the woods. 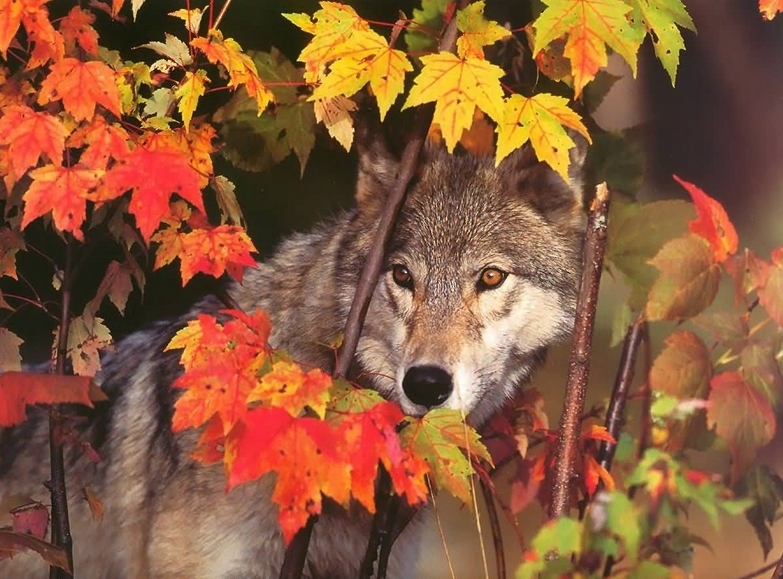 There is music in the meadows, in the air. 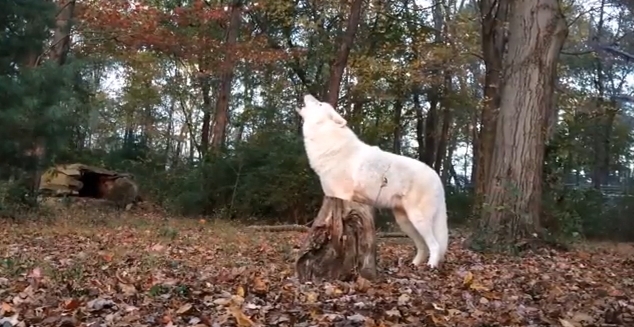 There is rhythm in the woods, and in the fields! 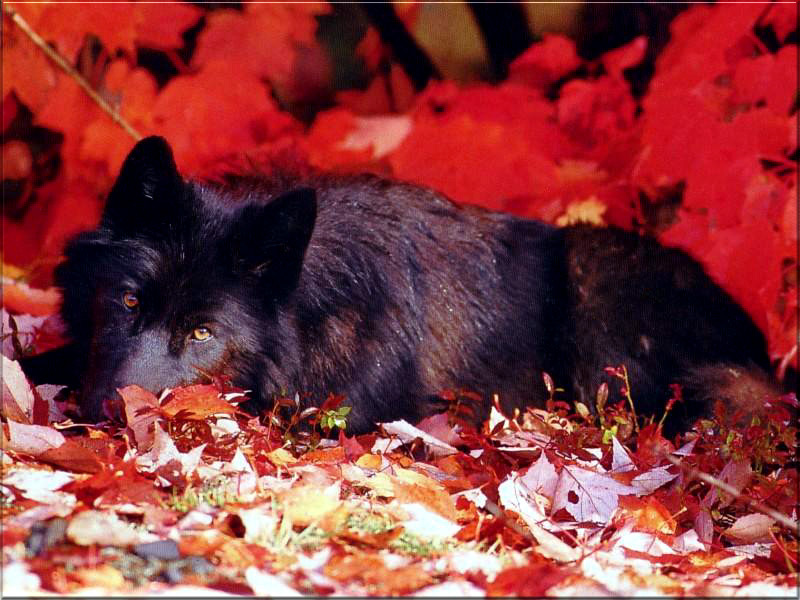 The wolves now begin the winter preparations, the wolf's coat becomes deep and dense. 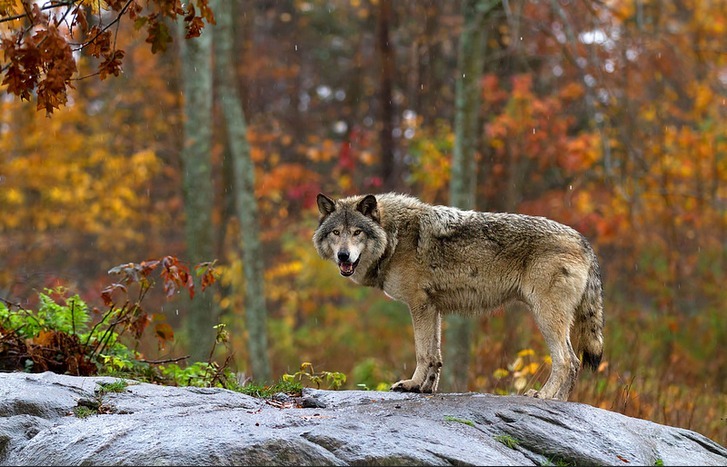 Wolf pups at this time know about snow instinctively, yet the first experience with snow is a exuberant experience for them. 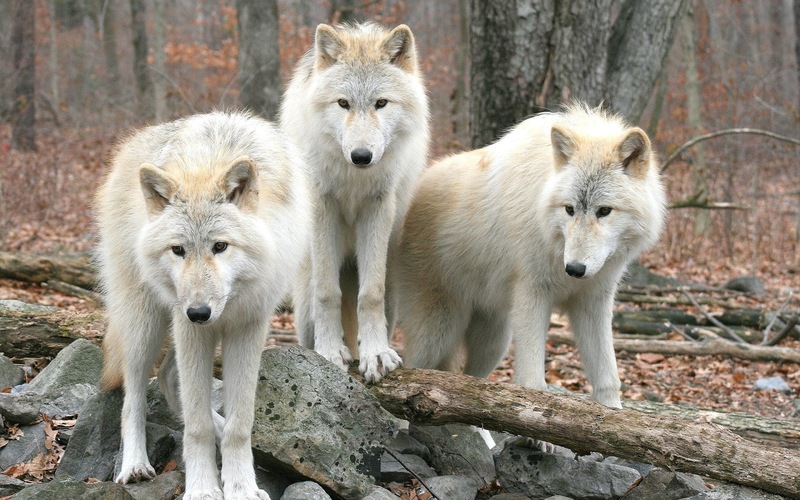 The pups have now been on the packs hunts, they still have much to learn. 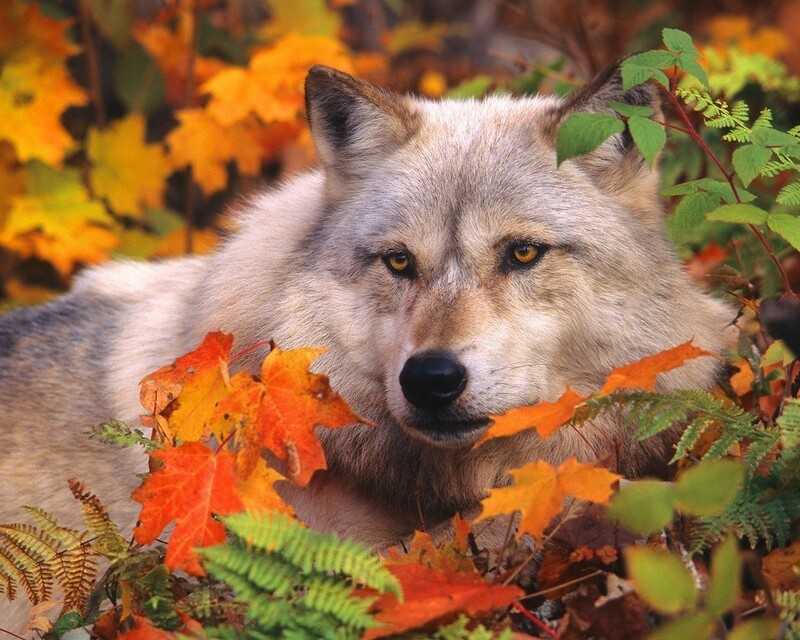 At this time the young wolves are around 50 pounds, they will not reach there full size for months to come. 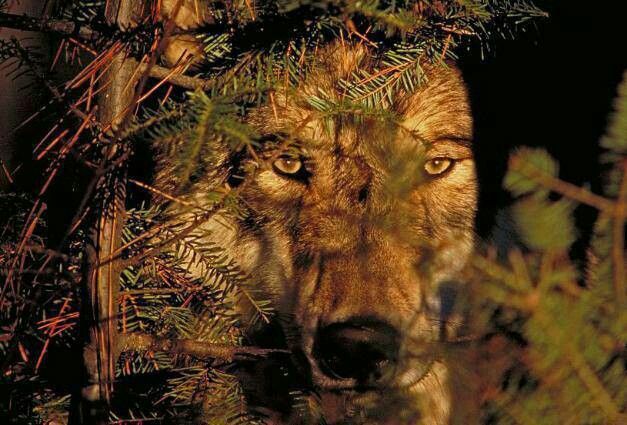 The pack will now have to migrate with their prey, for the predator must stay close to the prey species. The fall is a natural dispersal time for most wild animals. Some wolves (those at two and half years) may leave and find mates and to start their own pack. 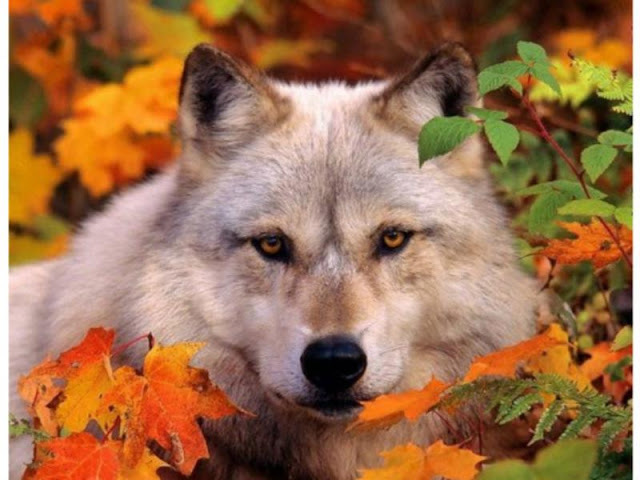 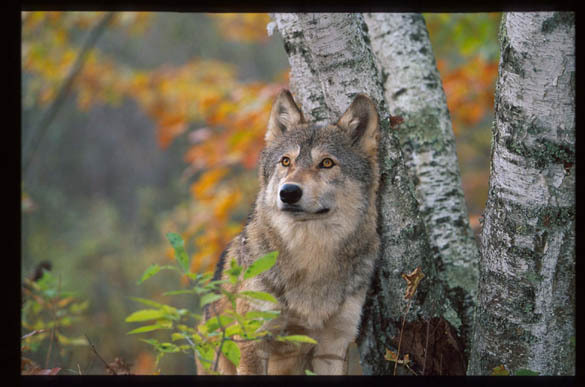 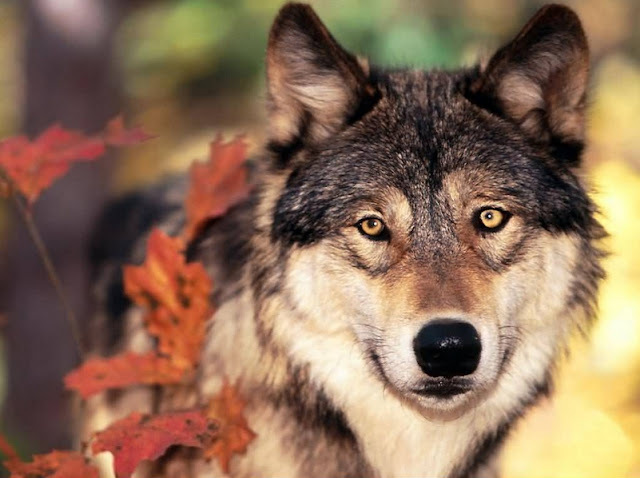 Responses to "Breathtaking photos of wolves in the woods during the midst of Autumn."